There are more than 100,000 NGOs in Pakistan. With shrinking funding base and growing competition for donors support, it is getting increasingly important for most organizations to create a unique identity and distinguish themselves from others. Under these conditions, understanding what branding is, and how to effectively use it, is absolutely crucial for every organisation. 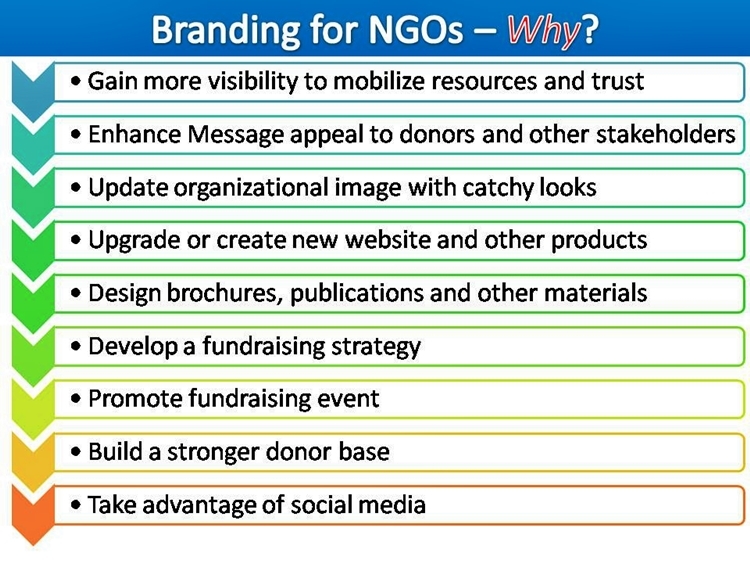 A common misconception among NGOs is that branding is only about having a logo and its placement on the banner. Most NGO leaders lack understanding of the concept and importance of brand identity. Often volunteers or junior staff members are asked to manage organizational branding matters. There are some who conveniently hand over the task to a third party pro-bono. With no real guidelines and experience, the result is often disjointed and unprofessional. We consider ‘brand’ as a collection of perceptions about an organization, formed by its every communication, action, and interaction. It is what people collectively say, feel, and think about your organization. In short, it’s your reputation, identity, and good will with stakeholders and in the community. Branding for NGOs – How? Branding, if done strategically, can put your organization way ahead of others in the race for funds and other support. PCDC will bring you some of the best names in organizational branding industry in Pakistan to establish a solid reputation and appeal in your target audiences. Here is why it is important to go for! Organizational Branding: Refining the key message and upgrading the visual identity, logo, color palette, establishing a family of typefaces and graphic treatment for use of the images, electronic graphic files, usage manual. Naming: Name change viability studies, naming recommendations and new name development. Message Development: Defining core values, attributes, brand personality and key messages. Brand Reviews: Assessment of your marketing and communication plans to help you pinpoint what you do well and where you need help. Market Research: Interviews with staff, board, clients, community leaders and partners to assess perceptions, strengths, weaknesses and identify opportunities, review market trends, competitors and other factors that would affect the branding and marketing. 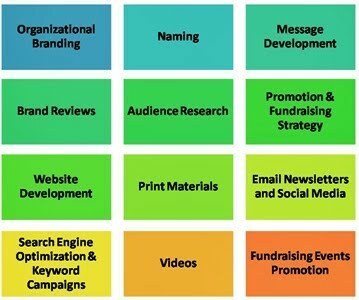 Marketing & Fundraising Strategy: Establishing key messages, determining the best approaches for creating visibility using various media tactics for developing donor databases and various funding sources. Websites: Upgrade or redesign of website to accomplish objectives, increase professionalism and visibility, client usability, create interaction with the agency, develop a resource center for the community, position as experts to the media and policy-makers, etc. Print Materials: Writing, designing and producing organizational collateral: folders, brochures, newsletters, donor kits, annual reports, etc. Email Newsletters and Social Media: Development of email campaigns, podcasts, discussion boards, and use of social media. Search Engine Optimization & Keyword Campaigns: Customized keyword research and website promotion strategy. Videos: Fundraising and marketing videos to tell your story and attract donors. Fundraising Event Promotion: Marketing and design services to promote fundraising events.